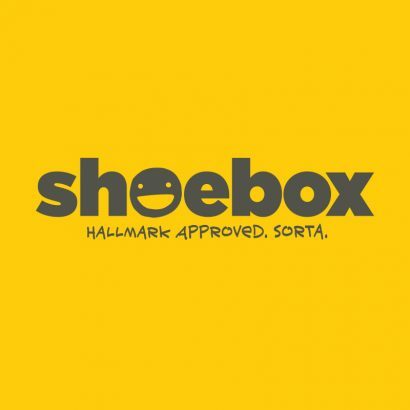 Shoebox is the nation’s number one brand of humor cards, and the home of funny at Hallmark Gold Crown® stores and other Hallmark retailers since 1986. Shoebox cards are quick, unexpected, casual, conversational and sometimes edgy. Intended for peer-to-peer, adult sending, these funny cards provide a range of humor styles from laugh-out-loud to smart and soft for a variety of relationships. They feature relevant, on-trend content, distinctive illustrations and eye-catching photography. Recently, Hallmark’s Shoebox line of greeting cards deepened its rebellious roots with a total brand overhaul. From the logo to the sentiments, the entire collection has been updated with a modern look and features language reflecting today’s world in an irreverent and hilarious way. The new collection can be found at participating Hallmark retailers nationwide as well we online at Hallmark.com. Card price begin at $2.99. Connect with Shoebox via the blog, and on Facebook and Twitter.